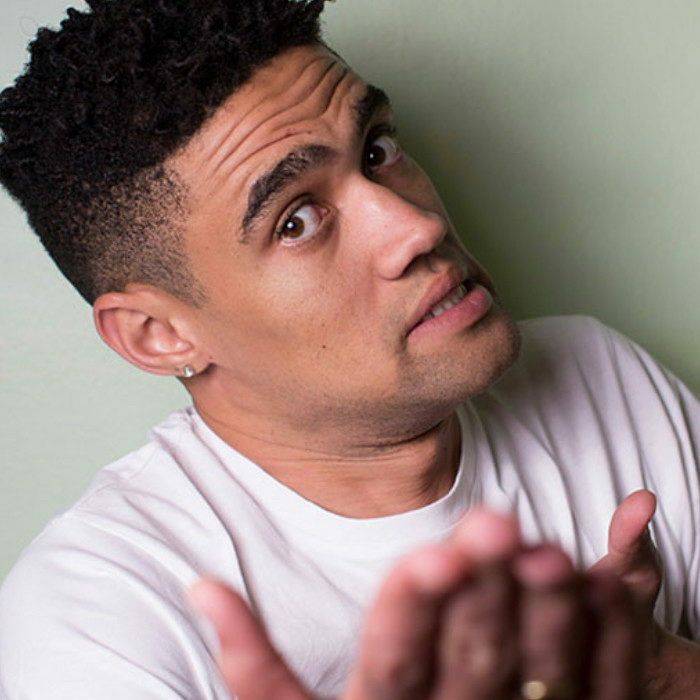 Robby Collins rise from actor on the Durban theatre circuit to fully fledged stand-up comedian has taken all of 4 years, still considered one of the emerging faces comedy Robby’s career achievements belies his years on the comedy circuit. A comedian whose material draws on real life comes across at ease on the stage and has a very believable stage presence, endearing himself to audience with his gawky giraffe frame. Robby has played to the biggest comedy audiences in South Africa with appearances at ‘The Heavy Weight Comedy Jam’ and ‘Blacks Only’ comedy shows. Further proof of his talent lies in his personal selection by SA’s top comics as their opening act, Marc Lottering, Eugene Khoza and Trevor Noah. His Tour with Trevor Noah was extensive and constituted over 50 shows all over Southern Africa. All his on stage endeavour earned a well-deserved nomination for “breakthrough act of the year” at the inaugural Comics Choice Awards. Robby’s talents are not reserved for the stage having been involved on the small screen in his capacity as an actor (Scandal), writer and performer (Laugh Out Loud and LNN). Robby’s future is no doubt a bright one and one that involves him being at the pinnacle of the SA comedy scene for years to come!